Three RRGSD students were honored Tuesday night for winning the district’s mascot essay and art contest. 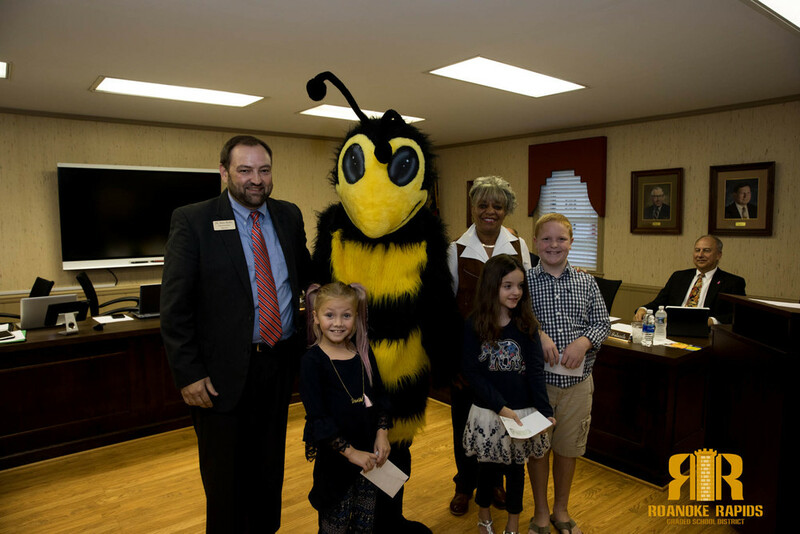 Superintendent Dain Butler recently sponsored a contest to name and draw the district’s new mascot. Several hundred creative essays and works of art were judged by students at Roanoke Rapids High School. In the end, the nearly six foot tall yellow jacket was named Jax. Jax is already making a name for himself appearing in classrooms, sporting events, and around the community. He also has his own Facebook and Instagram account.